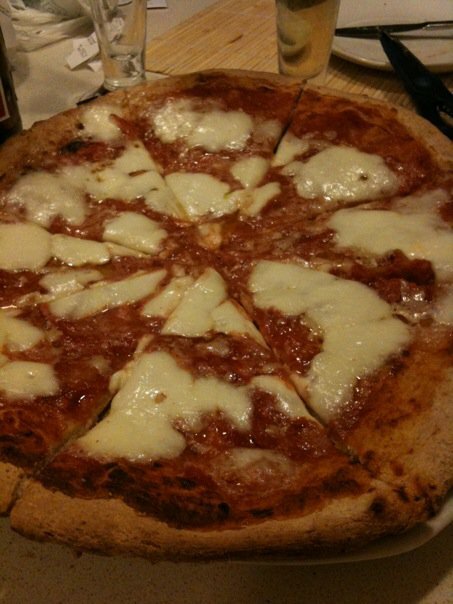 pizza margherita is a very classic dish and it is my favorite one! It was the first type of pizza invented. 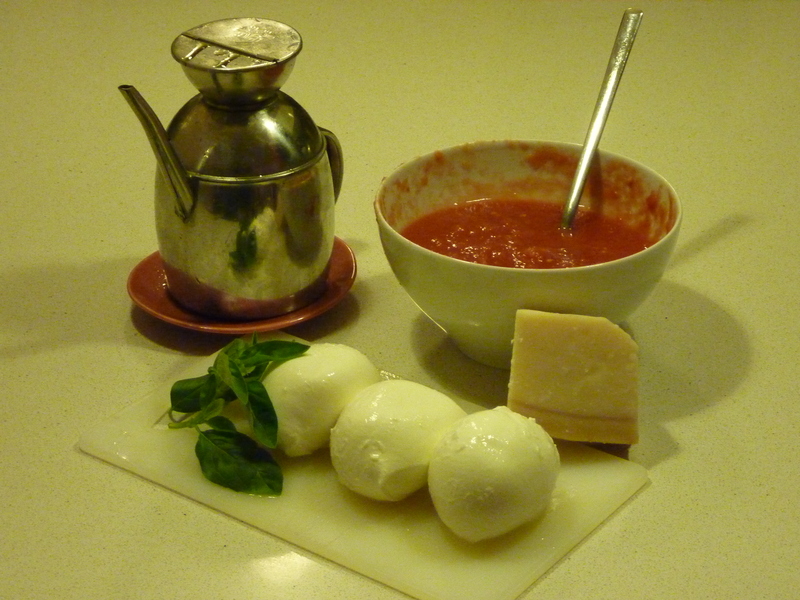 It is originally from Naples and was invented in honor of Queen Margherita. Now it is well know all around the world, but only some traditional pizzeria in Naples still make an authentic and delicious pizza margherita. The important things are the ingredients, very high quality ingredients should be used. As you can see I won’t put the amount of each ingredients, because it depends on how dough you have! put the tomatoes on a bowl and smash with a fork. put the tomatoes on the top of the dough, a pinch of salt and parmesan. Add a drizzle of oil. usually it takes 20 minutes, but it depends on the oven. To check if it’s ready knock a fork on the bottom of the dough, and check if it’s crunchy enough! a couple of minute before getting out the pizza, put the mozzarella cheese on and the basil. once the mozzarella is melted, pizza is ready!